Combine all crust ingredients in food processor and pulse until coarsely blended. Press crust loosely into bottom of jar. In a small bowl, combine all overnight oat ingredients and stir well to eliminate any clumps. 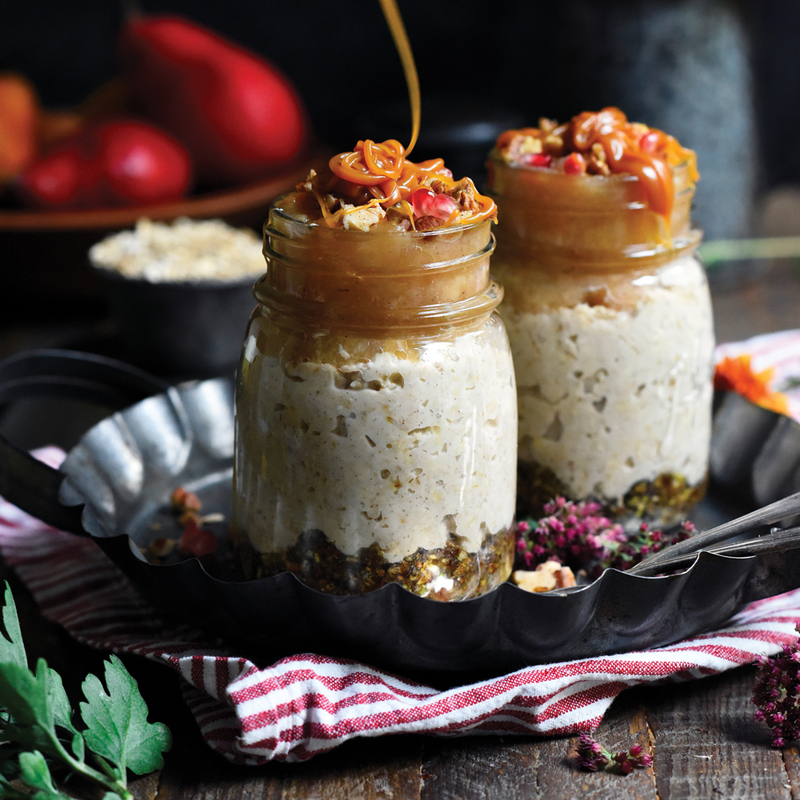 Pour oats into jar on top of crust. In a small saucepan, cook diced apple and pear at medium-low heat until soft. Top off the jar with the applesauce and seal with lid. When ready to eat, top with chopped pecans, pomegranate seeds, and caramel sauce if you’re feeling indulgent!